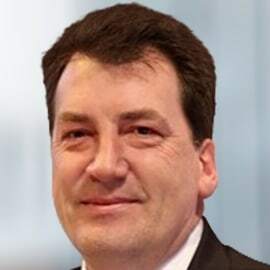 Jon Harrod, Director, leads Data & Analytics in the UK, Ireland & The Netherlands. Works with enterprises to define opportunities for both short and long term strategical operating model improvements in areas including costs, efficiency, productivity, quality and other key areas supporting all processes of global enterprises. He brings 25 years of expertise in developing client strategies and driving change through comparative data analysis to support the design and delivery of organizations future state of operational excellence. Jon’s experience spans a range of industries, including telecom, financial services, petrochemical, media and utilities, and a range of geographies, including Europe, the Americas and Asia Pac. Recently, Jon supported a Global Media organization assessing its current disparate country based operating models and delivered a transformation plan to consolidate operations in regional centers of excellence and unifying the organization to a single global digital strategy.